You might have got grand furniture at your showroom....but what is the use of it, if it hasn't got popularized yet? Social media optimization (SMO) is an advertising campaign that creates and promotes your business online. It is a process of boosting your brand awareness by using a no. of social media outlets. It increases your social Network. It makes your social exposure grow. Its goal is just to drive traffic to your website. 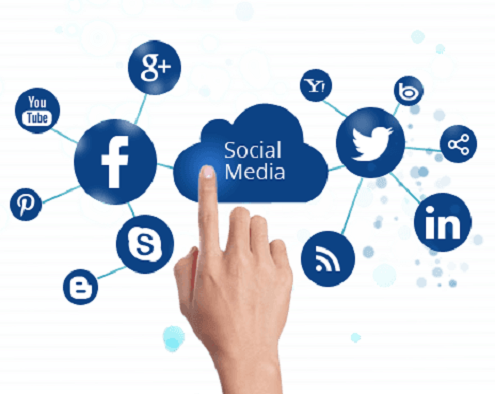 Where everyone is trying social media tricks, SMO Agency Patna offers you the best and second to none social media services. We enhance the aura of your product through social media sites like Facebook, Google +, YouTube, Twitter. Our content becomes the word of mouth for your company. In this way, we generate leads for you. We have defined social media strategy which gives your products the wings to excel in every corner of the Patna. We have a team of experts who offer full support and consultancy to effectively manage your online marketing. Our social media is fast and cost-effective. We consider your brand as our own reputation, and maintains it through sheer hardworking and energy. We build up the trust-relationship with your clients. Because we do what others can't. We use a loud speaker technique, and produces the vibrations of your product to outreach every ear. We make the headlights of your product 'ON' in every dark district. People easily recognize the value of your brand and feels free to purchase it. So, Just Sit and Relax.....We do Everything for you!